Last chance to purchase this limited edition! Each ornament is 3 1/2" in diameter, hand cast, and hand painted. 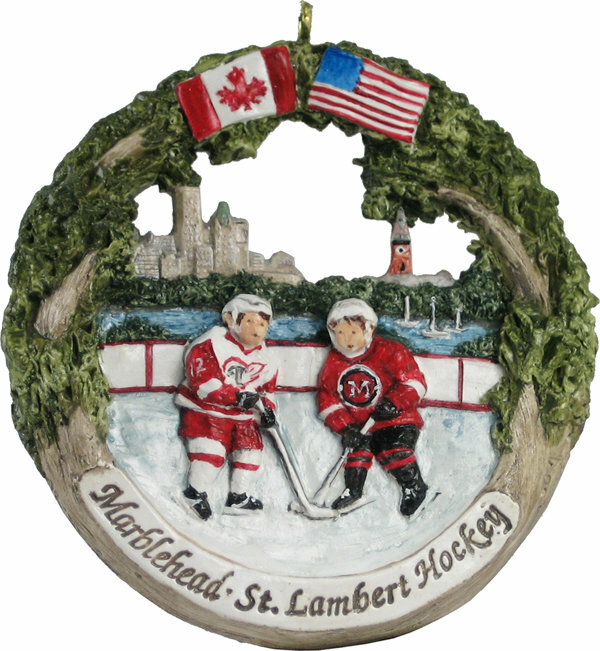 A portion of the proceeds will benefit the Marblehead Youth Hockey Exchange.